Lately, I’ve been a bit obsessed with Macarons. If you make them and taste them, you’ll be smitten as well. Macarons are to the French what cupcakes are to the rest of us! I have little bowls of egg whites . . . becoming of age . . . in every corner of my kitchen. My fridge has never been so backed up with egg yolks at one given time. Raspberry & Lemon Buttercream Macarons. Strawberry & Coconut Cream Macarons. Macarons with Swiss Buttercream are my favorites . . . so far. I’ve tried 3 different recipes now, and basically they are just about the same. There is a French Macaron and an Italian Macaron. The only difference is that the Italian Version incorporates a heated sugar syrup to the whipped egg white mixture, and the French version slowly adds granulated sugar to the egg whites. As far as taste goes . . . it’s sixes in my opinion. The Italian Macaron is slightly chewier in texture. I will post both the French and Italian Recipes for you, and then you can decide for yourself. The only thing I believe might make a slight difference to the end result, is powdered Food Coloring. Good luck finding it! I think I’ll be ordering some online very soon. If you color your Macaron, either use powdered or gel paste food coloring. Don’t use liquid! Important Note: I am certainly NOT an expert on this subject! I still have a lot to learn. The underside of a macaron tells the “truth” of your macaron. The first time I made these, I had several hollow holes. BAD! The second and third and fourth times, they just kept improving. If I can do it, anyone can do it. I believe the secret is in the macaronnage. (The release of the Air or oxygen from the Whites) Too much folding, stirring and twirling . . . or too little folding, stirring and twirling will cause the demise of your macaron. Remember . . . look for the FLAT Ribbon stage that will disappear in a few seconds. Try this test: Run a knife through the mixture. If the line disappears after ten seconds, stop folding. Macarons only need four ingredients. Just four. Egg whites, ground almonds, powdered sugar and granulated sugar. That’s it. The fillings can be anything you like. Ganache, buttercream, fruit fillings, etc. The biggest bowl below is the Almond flour and the Confectioners flour sifted together. My Kitchen scale is the xoxo brand. I love it! You must carefully measure everything – exact and precise. A Kitchen Scale for metric measuring, Heavy Duty Mixer and possibly a Food Processor to make your own Almond meal flour. Heavy duty Cookie sheets lined with Parchment paper or better yet . . . Silpats. Powdered or gel paste Food Coloring, large pastry bag with round tip Ateco #807 or #809, or Wilton 1A. Spatula’s are also a must. CRACK YOUR EGGS THE DAY BEFORE YOU WANT TO MAKE THE MACARONS. 1st step: Before you can even begin, you MUST age your egg whites. They need to age at room temperature for at least 24 hours, loosely covered. Experts say: Don’t worry, about bacteria. The white is protein and therefore it’s safe. It’s the yolk that would fight back, if you treated it the same darn way! 2nd step: If you can’t find Almond Flour, you must make your own. It’s quite easy. I use whole Raw Almonds with the skin, but you can buy slivered skinless if you desire. They are a bit more expensive. You must have a food processor if you plan to make your own. Pictures: 1. & 2. Finely grind your nuts into a Almond flour. 3. Combine the Almond and powdered sugar together and give it a good pulse til combined. 4. Pass through a sieve so that no large pieces remain. Put those pieces back into the food processor and pulse again until fine. 3rd step: In a heavy stand mixer, beat your egg whites until foamy & frothy, then slowly add the granulated sugar. Note: I run my sugar through the food processor as well, to ensure that it’s ultra fine as well. Beat the egg whites until glossy stiff peaks form. Don’t over beat to the dry stage. You want Glossy but stiff! If you have powdered Food Color, mix that with the powdered sugar/Almond flour combination. If you are using gel paste color, add it to the beaten egg whites just before they reach the glossy and stiff stage. 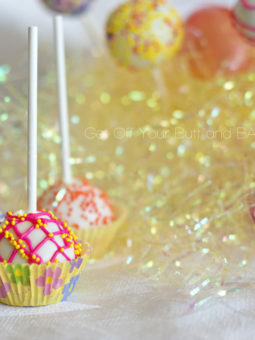 3rd step: If you are making the Italian Version recipe: You will need a good quality Candy Thermometer. Weigh the 35g water into a saucepan, then add the sugar. Heat the sugar syrup on med-high heat. If you are coloring your shells, add coloring at this stage. Your final meringue should be around 50 degrees C. Follow the Italian Version below for the rest of the instructions. 4th Step: Is basically the same for the French or the Italian Method: This is where you work on the mixture (macaronnage) using a spatula or plastic scraper. Incorporate the beaten egg whites into the dry ingredients using a large spatula. You’re not done when it looks like the flour mixture has incorporated. You must keep working on the mixture until it looks like the air or oxygen has been pressed from the whites. The whole process shouldn’t take you more than 40 to 50 strokes. The result should form a soft mixture that forms a “ribbon” on the scraper or spatula. If the mixture is too liquid then macarons will be flat. If the mixture is too stodgy they may crack. See the first picture: It’s forming a flat ribbon. Let it drip back into the bowl. If the ripples settle in about 10 seconds or so, it’s most likely ready. You can also test a small amount on a plate: if the tops flattens on its own you are good to go. If there is a small beak, give the batter a couple of turns. Fill a pastry bag fitted with a 1A tip or Alteco #807 or #809. I found these ingenious little tip ends that work perfectly. This mixture will run out of the tip, so you must clamp your bag, or use one of these tips to prevent the flow. Pipe small rounds (1 to 1.5 inches in diameter onto parchment or silpat lined baking sheets. Once you pipe, they will spread a bit, so don’t make your rounds too large. I like about a quarter size. You can also make little mini’s as well. 5th step: DRY YOUR SHELLS: You must let the macarons sit out for 30 minutes to an hour to harden their shells. This helps to produce the FEET (pieds) that make a macaron a macaron. You know they are ready to go into the oven when they feel cooked (hard) to the touch. Before they set up, you can also decorate the shells with poppy seeds, cocoa powder, nuts, coconut, etc. Test your macarons before baking. Touch the top and the sides, and if they are dry and not sticky they are ready. Give them at least 30 minutes to 1 hour to dry! While they are drying, you can clean up the mess you’ve made! Once the shells are ready to bake, preheat the oven to 300 degrees. I have both a convection (fan) oven and a regular oven. This temperature seems to work well on both ovens, but the convection oven does cook them a bit faster. As far as the “feet” are concerned, both ovens seem to produce nicely formed feet. Some recipes also tell you to leave a crack in the door while baking. I’ve tried this with and without the crack, and I prefer . . . NO CRACK in the door. You will have to test your own oven for the best results. Some recipes even tell you to double up the baking pan. (one underneath the other). I tried that as well, and didn’t like the results!!! 6th Step: Bake the dried shells one cookie sheet at a time, in the center of your oven. Every recipe seems to tell you a different amount of time to bake your shells. Ten minutes seems to be about right for me, but your oven may vary from my ovens. Some recipes say 16 to 20 minutes. 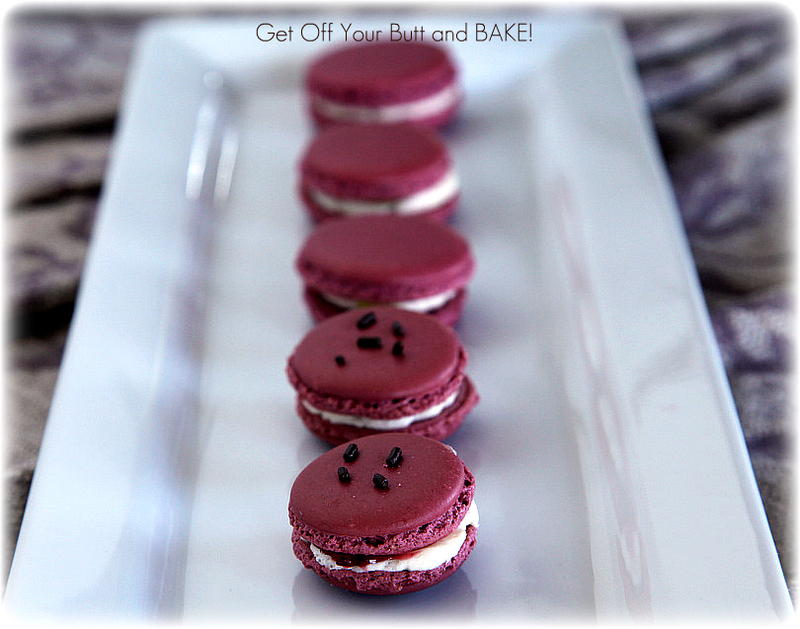 DO THE WOBBLE TEST: After 8 or 9 minutes, touch the top of a macaron and gently move your finger side to side. If there is a “wobble” cook for 3-4 minutes longer till firm. Once they are firm to the pan, and don’t wobble . . . they are ready to remove from the oven. Let them cool on the parchment paper or silpat lined sheet. Lift them very carefully from the paper or silpat once they are cool, and place on parchment or wax paper. Oh just look at the beautiful feet! Dance around your kitchen for a minute or two. Marry up the discs in pairs of the same size. One row flat side up and one row flat side down. Prepare a piping bag with your chosen filling and pipe onto each upturned shell. Then place its partner on top, using a circular motion to squash the shell down on the filling. Here I used Swiss Buttercream and Raspberry or Lemon curd. YOU CAN’T EAT THEM YET! just wait . . .
Macarons must first be refrigerated in an airtight container, for at least 24 hours before eating. But wait . . . you still can’t eat one. Once you remove them from the refrigerator after 24 hours, they must come back to room temperature. Let them sit out for at least 30 minutes prior to eating. If you don’t believe me, eat one the day you bake them and fill them, then eat one the proper way. OH…..such a huge difference! The outer crust remains light and crispy, and the center will be chewy and decadent. Note: What’s more they are gluten free. They will keep in the fridge for up to a week and will be sensational. Sealed plastic containers work well. Macarons can also freeze well for up to three months. Simply defrost them and hour before serving them at room temperature. Remember to take macarons out of the fridge at least 30 minutes before tasting them to appreciate their flavor and crispy chewy texture. Warning: They will become addictive! 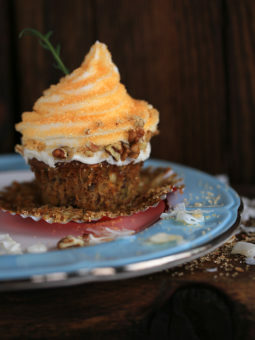 My next post will be a Swiss Buttercream Tutorial, so come back soon! This is the Tartelette’s French Macaron Recipe. I tried 3 other recipes, but still prefer this one. Prep the eggs: 48 hrs in advance, separate the whites from the yolks and place the whites in a super clean bowl. Leave at room temp, uncovered or loosely covered with a towel at least 24 hrs. Refrigerate after that if desired. You can use eggs that have been “aging” for up to 5 days. 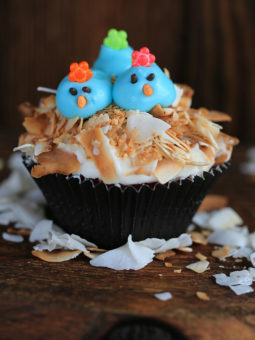 Place the powdered sugar and almonds in a food processor and give them a good pulse until the nuts are finely ground. Sift a couple of time to remove bits and pieces. Regrind if necessary. You can also use a coffee grinder for the nuts. Once your nuts and powdered sugar are mixed together, rub them in between your fingertips to break the bigger pieces. In a stand mixer fitted withthe whisk attachment, whip the egg whites to a foam, (think bubble bath foam) gradually add the sugar until you obtain a glossy meringue (think shaving cream). Do not over beat your meringue or it will be too dry. Fill a pastry bag fitted with a plain tip (Ateco #807 or #809) with the batter and pipe small rounds (1.5 inches in diameter) onto parchment paper or silicone mats lined baking sheets. Let the macarons sit out for 30 minutes to an hour to harden their shells a bit. 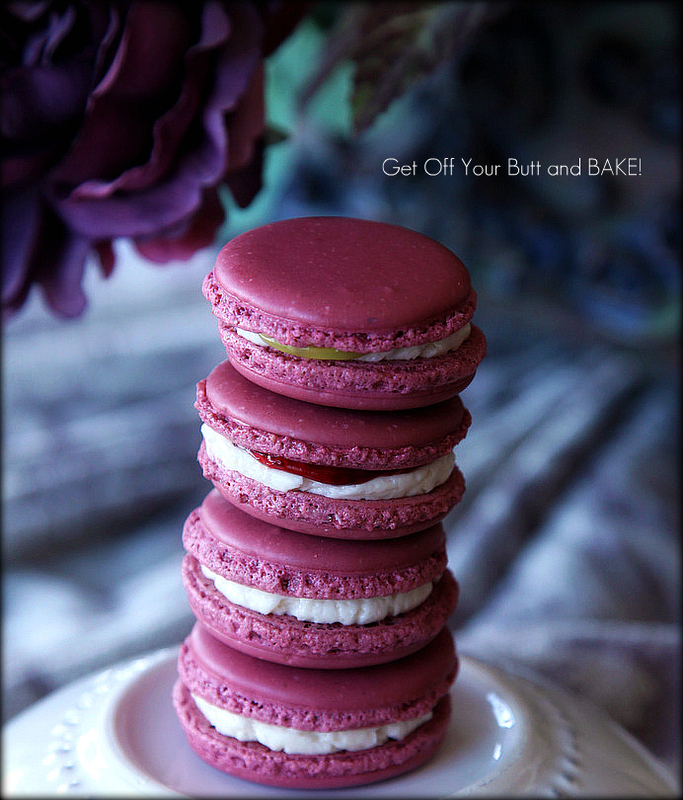 I found the Italian Macaron Recipe over at Honey and Soy. She has a full comprehensive guide that you can buy, and on the right side of the page, a FREE guide as well. Just send her your email, and it will be sent to you. This is the guide that I followed for the Italian Macaron. It’s great. Go to Honey and Soy now. so many things you can do with them. Puddings, Creme Brulee, the yummy Coconut frosting for German Chocolate Cake, etc. Wow these look so professional great job love all the photo. Oh boy . 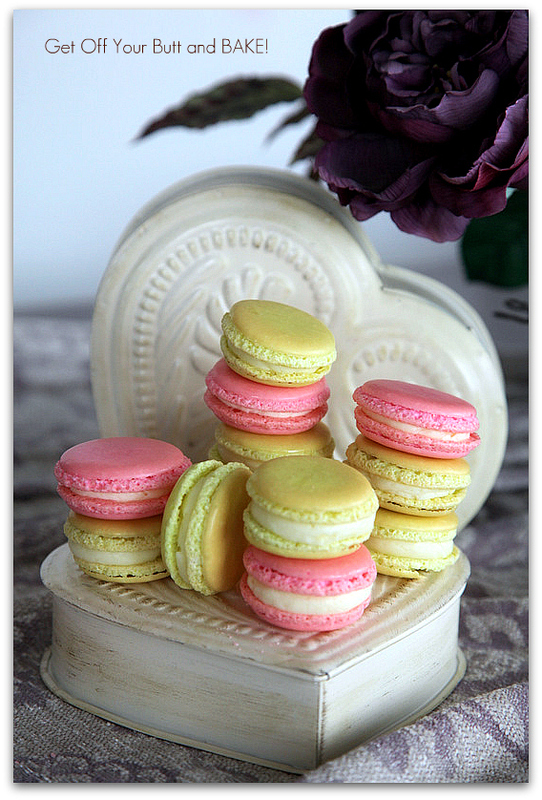 . . Macarons are one of those little gems that seem to need things just right. I use my Kitchen Aid Stand mixer, to beat the egg white/sugar mixture, then fold in the Almond Meal/Powdered Sugar mixture by hand. Try to watch the tutorials I’ve posted on Macronage. Too little folding will cause cracks and mishapen cookies. Too much folding will cause flat cookies without feet! I’m certainly not an expert on this subject. My cookies have all turned out, but I’m sure that they could be much prettier. I also grind my own Almonds, which makes the tops not quite smooth. You can see the little flecks of Almond skin. I did find Almond meal in our Health food store, and I’m anxious to make them and see if they are a bit prettier. Go to youtube and watch videos on Macaron making. This helped me. I whip my egg white mixture until it’s stiff but not dry. Remove your whisk attachment from the bowl, tip it upside down. If the egg whites don’t fall off the whisk….they should be ready. I hope this helps a bit. HI there! This is such an awesome page, really love your commentary and photos. I was wondering, have you ever had a rippling effect after baking. Sometimes my macarons get this rippled effect through the crust of the shell, like sharp bends? Its very weird and I don’t know why!!! I usually only put one cookie sheet in at a time, but I still rotate the sheet around half way through the cooking time. I use a Canon 5d Mark III….and love it! I take pictures in Manual Mode and I’m still learning everyday. Possibly you stirred the mixture too long. 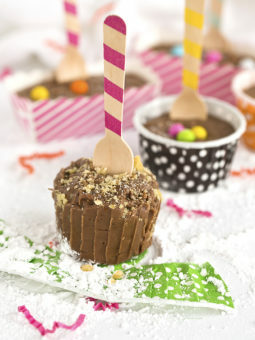 It needs to have that ribbon look when you draw your spatula up, and let the mixture drape back to the bowl. You also need to make sure that you dry the macaron shells long enough. Try try again . . . I had to as well!